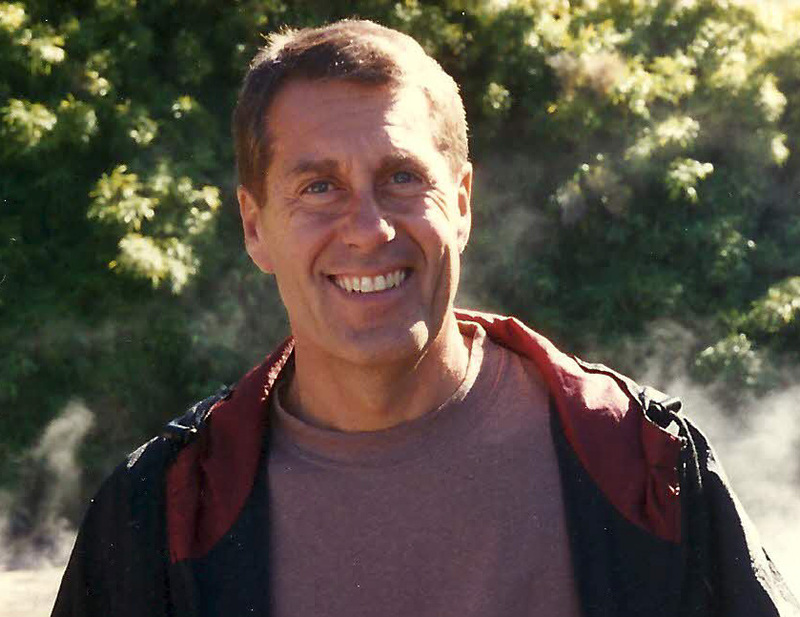 Ralph Boone completed a PhD in biology from the University of South Carolina in 1974. From 1980 to 1990, Boone was director of research and computers at Sherman College of Chiropractic. He earned his doctor of chiropractic degree from Sherman in 1990. Boone was president of Southern California College of Chiropractic from 1990-1994. He was president of the Straight Chiropractic Accrediting Agency in the 1990s. Boone was also the acting head of the New Zealand School of Chiropractic (NZSC) from 1998-2000. From 2002-2004, he was director of research for the Association for Network Care. From 2004-2009, Boone was director of research at Sherman. Boone died on November 21, 2010. 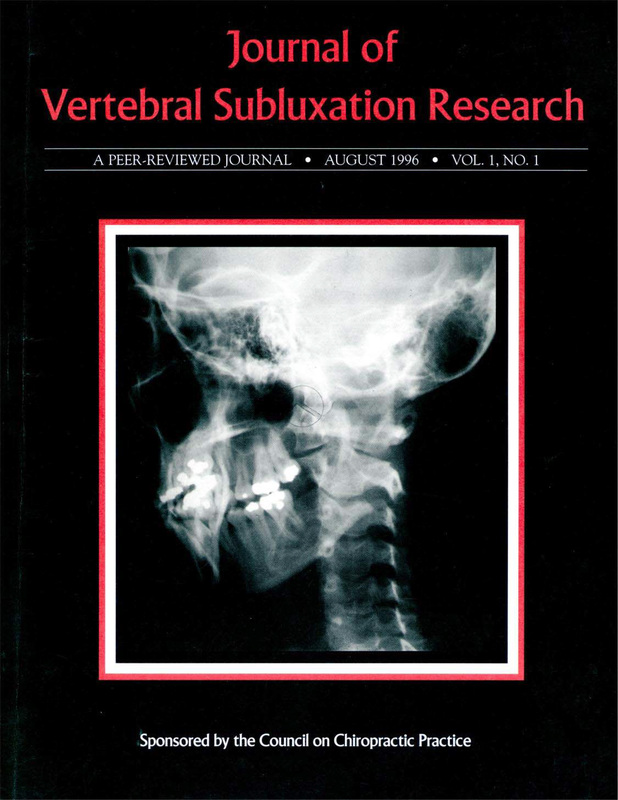 Boone started the Journal of Vertebral Subluxation Research in 1996. He continued as editor until 2000. 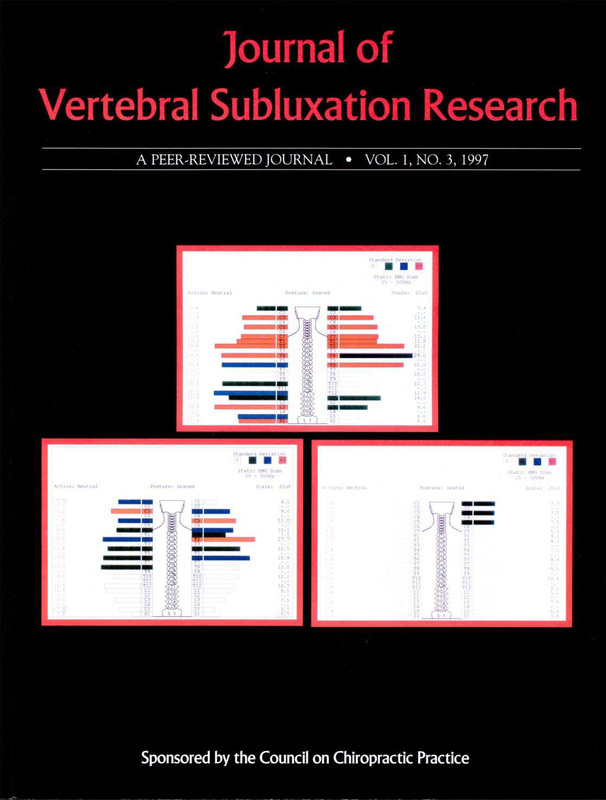 During his time as editor, Boone published significant research, several important editorials, and his now classic series with Graham Dobson, DC, on the Vertebral Subluxation Model. William R. Boone Ph.D, D.C., and Graham J. Dobson, D.C.
Abstract — Part one of an expanded vertebral subluxation model (VSM) is presented which considers information from the traditional concept of vertebral subluxation, and other models including; the chiropractic subluxation complex, the vertebral subluxation complex, and the vertebral subluxation complex model. Other components, including health assessment and etiology, are to be introduced in the second part, and appropriate research designs for studying the expanded VSM are to be presented in the third part.All three parts discuss other models as well as classical and recent research findings which support the expanded VSM. 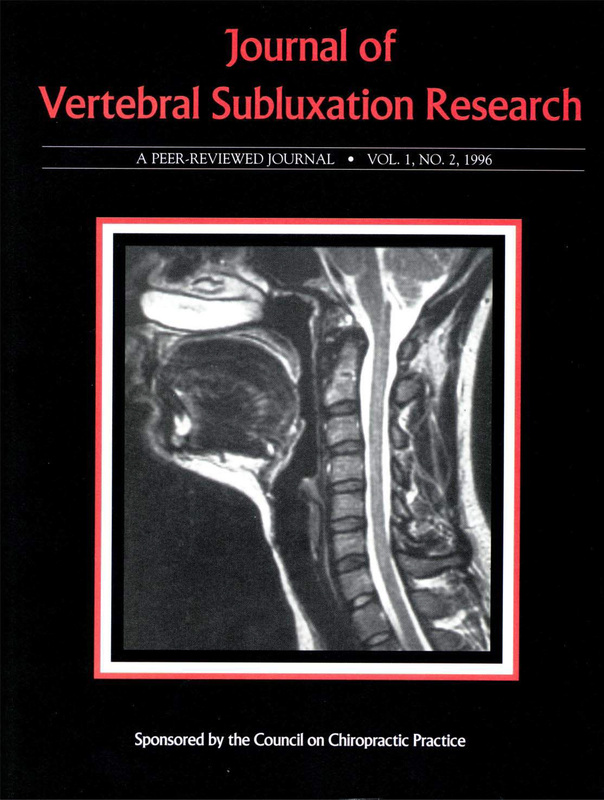 This article proposes an expanded vertebral subluxation model (VSM) based on B.J. Palmer’s concept, contemporary models, and other information provided through research and discussion. It is anticipated that the expanded model will stimulate future research, case studies, and other reports which will impact on its veracity. This activity will insure that the concept of vertebral subluxation, and parameters associated with that condition, are readily available to the scientific community as a whole, the chiropractic profession specifically, and ultimately the lay public. Presentation of the VSM is divided into three parts, each considering pertinent aspects of other contemporary models as they relate to the VSM.This article deals with the physiological and biomechanical components which contribute to the model.The next article will elaborate the health and etiological components of the proposed VSM, and how the presence and correction of vertebral subluxation are related to these components. A third article will present a thorough discussion of current research methodolgy which permits testing of the VSM. The development of an expanded VSM is a critical issue. As acceptance of chiropractic as a non-allopathic health care discipline broadens, it is essential to develop a model reflecting the full spectrum of components of the vertebral subluxation. This will provide a clearer depiction of the concept by incorporating those aspects of its early theory which have been evidenced, as well as recent findings which pass the test of repeatability. For instance, the concept of vertebral subluxation proposed by B.J. Palmer,1 herein referred to as the Early Vertebral Subluxation Model (EVSM), clearly outlines four fundamental, but hypothetical components; vertebral misalignment, occlusion of a spinal or intervertebral foramen, pressure on nerves, and interference with the quantity flow of the mental impulse. Since the literature contains considerable research which impacts positively and negatively on Palmer’s hypothesis, it would be naive to categorically accept or negate the theory based on the current state of investigation regarding its tenets. *From JVSR, Vol. 1, Issue 1. William R. Boone, Ph.D., D.C., and Graham J. Dobson, D.C.
Abstract – Part two of an expanded vertebral subluxation model (VSM) is presented. Information is considered from other conceptual models which evaluate health assessment, quality of life measures, dis-ease, and disease.The expanded model unfolds a rationale for qualifying the etiologic basis as well as the consequences of vertebral subluxation. This article continues the development of an expanded vertebral subluxation model (VSM). The first article in this series1 merged classical and current information gleaned from a variety of research arenas in support of the structural and neurophysiological components of The Early Vertebral Subluxation Model (EVSM) proposed by Palmer. The emphasis in this article is placed on the consequences of vertebral subluxation on health, as well as the etiology of vertebral subluxation. Tantamount to evolving these concepts, is the importance of epidemiological research, which has not been carried out to any extent in the chiropractic discipline.This approach focuses on the health problems of large populations and the social groups intrinsic to those populations. Consequently, while single subject anecdotal reports proposing etiology and/or consequences of vertebral subluxation are a first step, the interaction patterns of putative etiologic factors, as well as suspected consequences of vertebral subluxation on the world population cannot be thoroughly revealed without appropriate broad based study. However, preliminary to initiating studies designed to investigate correlation between socio-dynamics and vertebral subluxation, as a health issue, it is necessary to clearly describe the concepts which will be under study. In this regard, the usefulness of a VSM which encompasses the parameters of health consequences of vertebral subluxation and its etiology provides an entry point for critical study.The health consequences of vertebral subluxation are considered first. Abstract — This is the concluding article in a three part series describing a proposed vertebral subluxation model which is based on traditional and contemporary information.This article presents one strategy for investigating subluxation-based chiropractic and the vertebral subluxation. The holistic and mechanical aspects of subluxation-based chiropractic are discussed in conjunction with research methods. Part I of the expanded vertebral subluxation model (VSM) merged classical and current information gleaned from a variety of sources in support of the structural and neurophysiological components of the Early Vertebral Subluxation Model (EVSM) proposed by Palmer.1 Part II presented information pertinent to the consequences of vertebral subluxation on health, as well as the etiology of vertebral subluxation.2 The present article explores various research methods and approaches which have application to investigation of subluxation-based chiropractic and vertebral subluxation. Several memorials were written about Boone’s life and legacy including tributes from Annals of Vertebral Subluxation Research and Sherman College. Donny Epstein also wrote a tribute called One man can and did make a difference; A Tribute to WR Boone, DC, PhD. One man can, and did make a difference, for myself, for my methodologies, those it serves, and the academic community. I developed Network Spinal Analysis, Reorganizational Healing, and other models and applications. The man who I am referring to is W. Ralph Boone, PhD, D.C. He passed away on November 21, 2010 at age 68 while co authoring an important paper, a personal milestone in his career. This article is a tribute to the genius behind the academic culture and research agenda, which has transformed my life, and that of my methodologies, and has set the stage as part of the scientific revolution in place now. During his career, Dr. Boone was a philosopher, a chiropractor, an artist, a musician and a strict academician. He served as a university professor, resident of two chiropractic colleges, editor of a peer reviewed chiropractic journal, director of research at two chiropractic colleges, president of a post graduate accreditation agency for chiropractic colleges, and author of numerous articles. He also served as the director of research of the Association for Network Care. Ralph helped me to mature within the academic world and instilled in me a critical thinking process that continues to this day. Boone created an interdisciplinary bridge between chiropractic and many disciplines. He taught me to embody an approach that integrated systems and models that influence not only health and wellness care or chiropractic, but also mathematics, sociology, psychology, engineering, business and others. During the years 1990-1994 Network Chiropractic, and its unique spinal wave drew some media attention. Patients reported clinical changes of a physical, emotional, psychological, social and spiritual nature, which exceeded symptom relief or the existing health care culture. Boone encouraged conducting research to better understand the patients” (practice member’s) experiences. Ralph had a passion for measurable and accountable outcomes assessments, non linearity, and establishing an academic basis for the phenomena he observed. He impressed upon me that it was incumbent upon myself to develop models to support these, new assessment tools for health and wellness grown from these results, physiologic and mathematical modeling of the spinal wave and more. He believed that the study of the mechanisms involved in our care would provide insight into new and progressive models. He was right. Ralph worked with me developing an evidence-based document on the theoretical basis and clinical application of my clinical system, which was regularly updated as new understandings and models came to light. His guidance helped me to integrate synergetics and systems models. This developed into the Epstein model of spinal and neural integrity, which later served as a benchmark for spinal behavioral change outcomes. The model is based on a subsystems a approach to the spine. By understanding the living system as far from equilibrium, the spine may be viewed in terms of its ability to dissipate energy through the subsystems. Boone helped to bring together a team at the University of California, Irvine, School of Medicine and the School of Sociology. The team research was lead by Robert Blanks, PhD. The sociology team was comprised of Tonya Schuster Ph.D, and Marnie Dobson. It led to the largest retrospective study of in the chiropractic profession of client self-assessed wellness. The domains of wellness studied were physical, emotional/mental, stress life enjoyment and overall quality of life. The study led to the discovery of a wellness index and the development of a wellness construct. construct that wellness is the client’s self reported belief about how the client is doing in each of these categories. Spiritual and lifestyle changes were also measured as indicators of wellness. The first publication of this study was published in JVSR, Volume 1, Issue 4, in 1997. Two follow-up articles were published in 2004. Those articles demonstrated that overall wellness improved significantly and that Network Care led to life enhancing benefits. A relationship between Network Care and constructive/healthy choices in life was demonstrated. This study was the academic inspiration to develop Network Spinal Analysis from what was known as Network Chiropractic. This new system in the chiropractic profession was based upon the findings in the study. This also led to the development of Reorganizational Healing. Individuals who had the waves, but were not aware of it, did not have a significant improvement in their wellness index. The greatest improvement in the self-reported wellness index was when the awareness of the respiratory wave came first followed by awareness of the network (spinal) wave. The new system of Network Spinal Analysis included self reported outcomes as well as the practitioner’s clinical outcomes of sensory motor behaviors. The client’s inner perceptions/beliefs about his/her wellness in the above domains were linked to indicators of enhanced self awareness and spinal awareness. This was staged over a series of Levels of Care. The Levels were based upon spinal changes coupled to the practice member’s awareness/wellness. The Network wave still appeared strange and was unprecedented in chiropractic or health care. To better understand the wave Ralph Boone involved Edmond Jonckheere, PhD. Of University of Southern California, Dept of Engineering and Mathematics. This led to a research program in 1997 that has continued to date. Various publications, revolutionary understandings, and dozens of presentations at academic conferences. The spinal wave has since been studied at several colleges and universities. Dr. Boone passed on during the editorial review and the editing of an article exploring these findings. The term spinal entrainment was developed to describe the neurological response to the spinal contact. Boone was instrumental in all of these updates to the terminology, the models, and the rationale. Under Ralph Boone’s suggestion, Network Care evolved into a wellness education approach along with the physical application. Also, the term spinal gateway came into use to match the physiologic processes, the theoretical basis and the clinical application of Network Care. Anecdotal evidence suggested the further study of the biofields or organizing fields within and around the body. Dr Boone taught and encouraged practitioners to use verifiable outcomes and to collect and publish case studies as part of developing a culture of evidence and to help shape the future of the clinical work. The construct of Reorganizational Healing is an extension of the integrative thought process which Ralph inspired in this author. It ultimately led to the the meta model or new world view for which the Epstein technologies would serve as applications. The Reorganizational paradigm is a powerful tool for personal and organizational transformation and change. WR Boone, you have been and will continue to be my Hero. You have shown how the tenacity of an individual comes into play in the pursuit of accuracy, outcomes, and integrity. You taught me how to satisfy the hunger to define, testify to, and report on the organizational wisdom of creation. You have and will continue to make a Huge difference for so many.